Select your package. If you are planning on hosting 1 website then in most cases the economy package is the best option, but you should read the features and benefits of each package before making a selection. 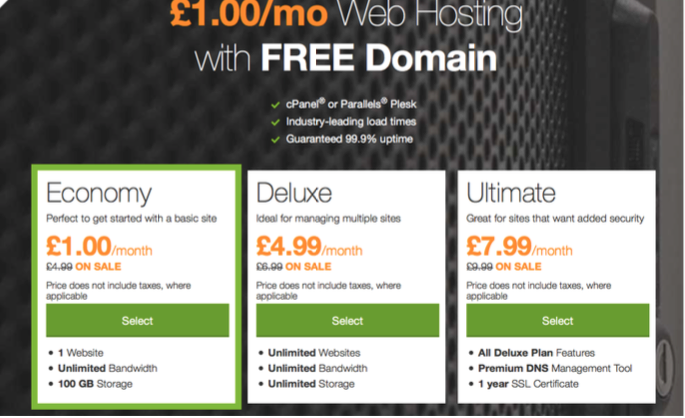 Select your domain name. 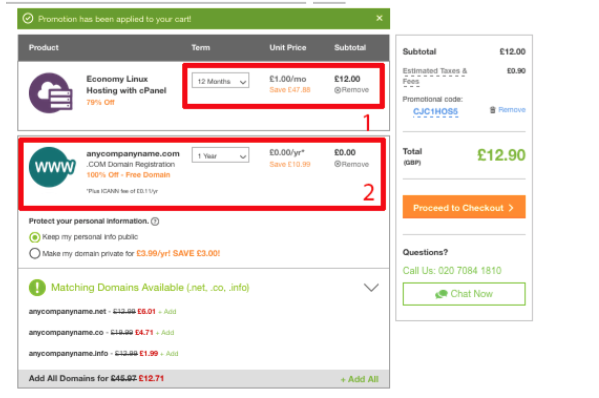 You get a FREE domain name from Godaddy. It must be a new domain name and excludes name transfers and renewals. login and complete order. Confirm your total on the right. If you are a new customer select New Customer otherwise log into your Godaddy account. Check out – The next screen is your check out page. 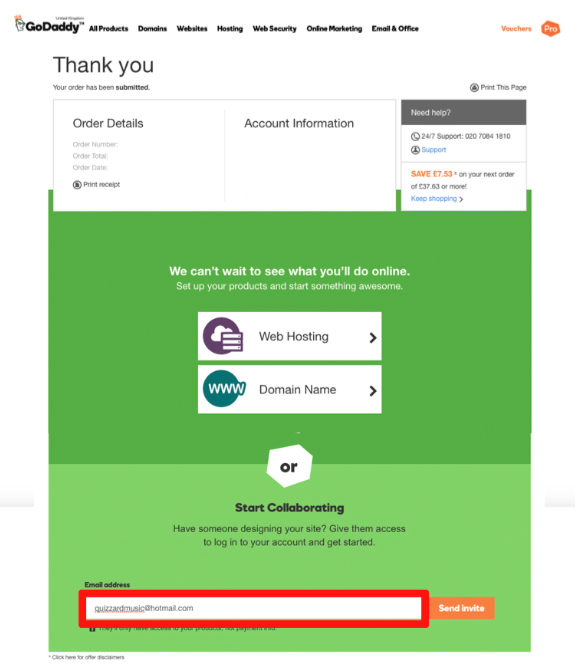 Be sure to read and confirm your order and tick the box on the left to confirm that you agree to Godaddy’s terms and condition.